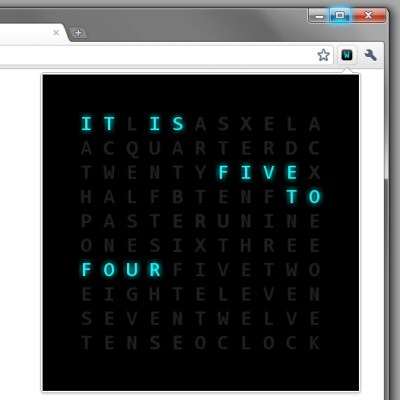 A word clock is a clock that tells time using words. This clock in particular uses fuzzy time (five past twelve, ten til one, etc.) so you can appear more eloquent, but not too precise. 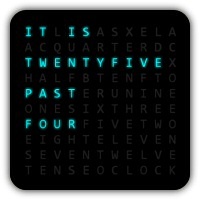 This app/extension only exists because it looks cool telling time. Just leave it open and let passer-bys gasp in wonder as you proudly show off this awesome clock. 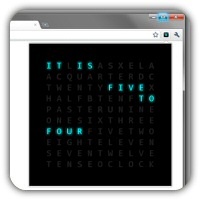 The app/extension is based on an Instructables that described building an actual word clock using LEDs. I thought to myself "I could write an app like that" so I did using HTML5, CSS3, and JQuery. 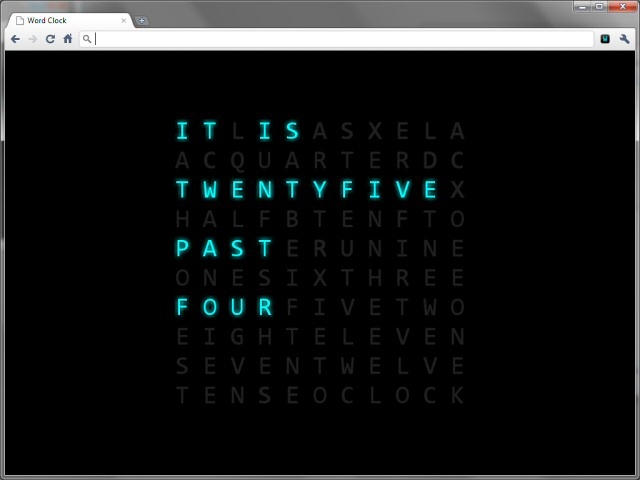 For those without Chrome (or if you do have Chrome and just want to see it in action), a live demo is available here. The live demo should work exactly like Chrome in Firefox, Safari, and Opera. Internet Explorer users can still see it in action, but they will have to live without the cool glow effects and fading. Currently there are two flavors: application or extension. Both are available at the Chrome Web Store. Why isn't it one package? Because the Chrome Web Store won't let it be an application and extension.